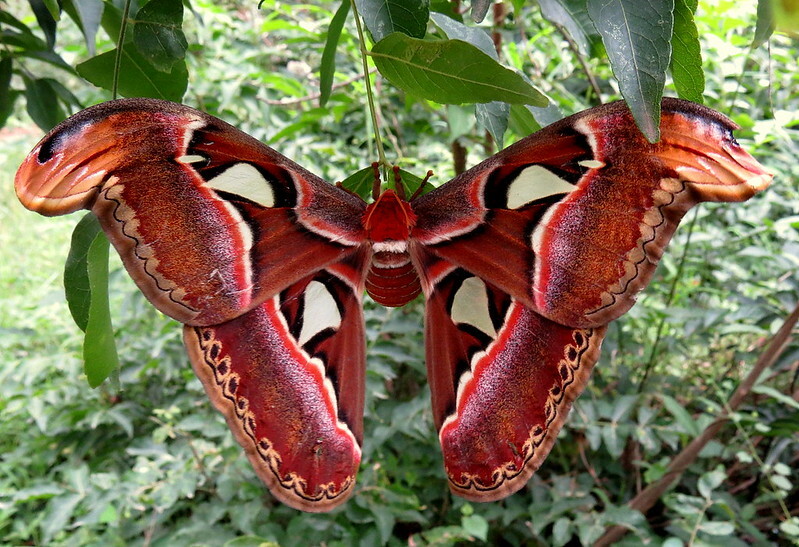 The Atlas Moth, which is found in the tropical and subtropical forests of Southeast Asia, and is common across the Malay archipelago. Hercules Moth relegated it to second place. However, it still remains one of the most spectacular moths one can see!